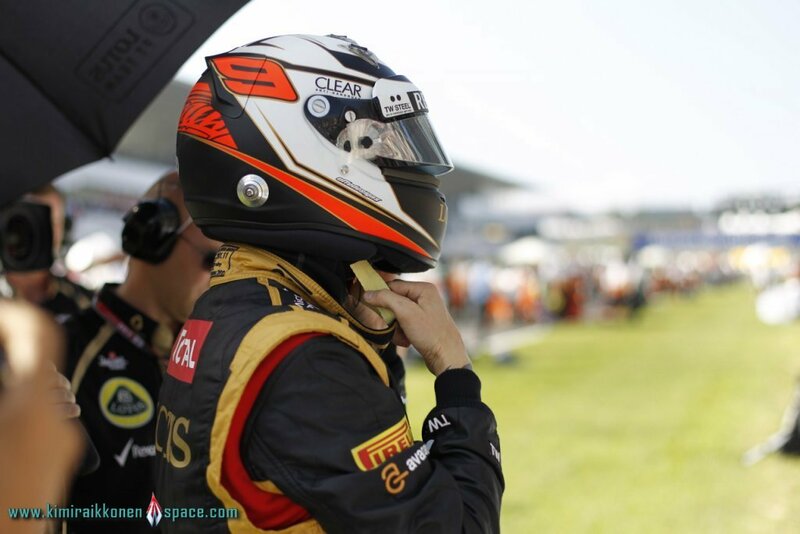 Q: Kimi; was P6 about what you expected from today’s race or did you feel more was possible? KR: Sixth wasn’t the result we were hoping for. We lost some time with all the incidents on the first lap and also had a problem in the second pit stop, so overall it was quite a difficult race. Unfortunately even considering those things we didn’t have the speed to do better today. Maybe we could have stayed ahead of Lewis [Hamilton] if things had gone a bit differently but there was no real chance to be higher than fifth. Q: The start looked quite frantic for you; how did you see it from inside the car? KR: The first corner was very tight. I got an ok start and was on the left alongside Fernando [Alonso] straight away. He kept moving further across until there was nowhere left for me to go and his wheel touched my front wing. We had dome damage and I think he got a puncture so it was not a great start to the race but there was not a lot I could do differently. Q: What can you take away from this race heading to Korea?